BRAND NEW single story living option! The Brentwood was such a hit that we’ve added another singe floor option to the Manning Hill lineup. the Hampshire, checking in at 1,800 sq. ft., features a wide open living space with two bedrooms, including a master, and a two car garage! 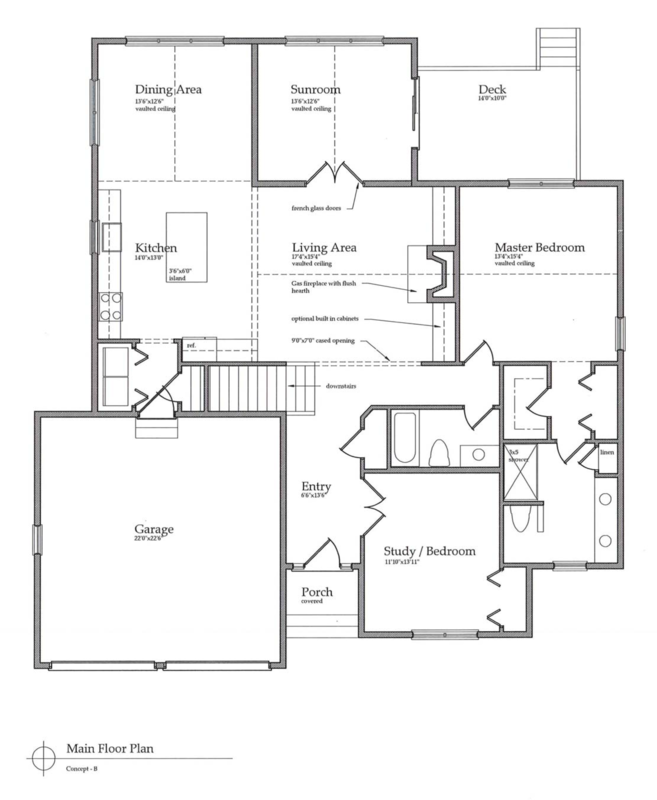 * Floor plans shown are representational only and may include optional items. All dimensions are approximate dimensions and not to scale. Drawings are conceptual and may differ from actual construction.